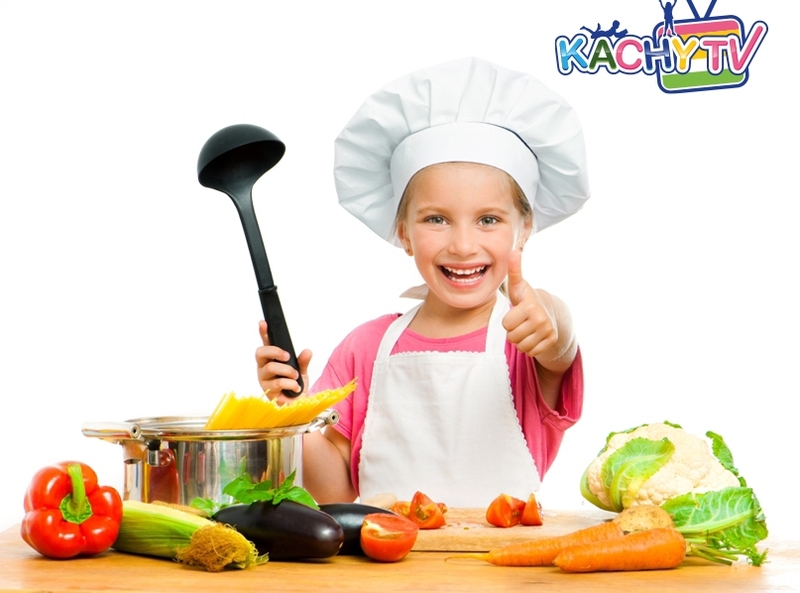 KACHY TV Archives - Kachy TV | Nursery Rhymes - Kids Songs. There is no doubt that this question ranks at the first position in every parent’s mind. 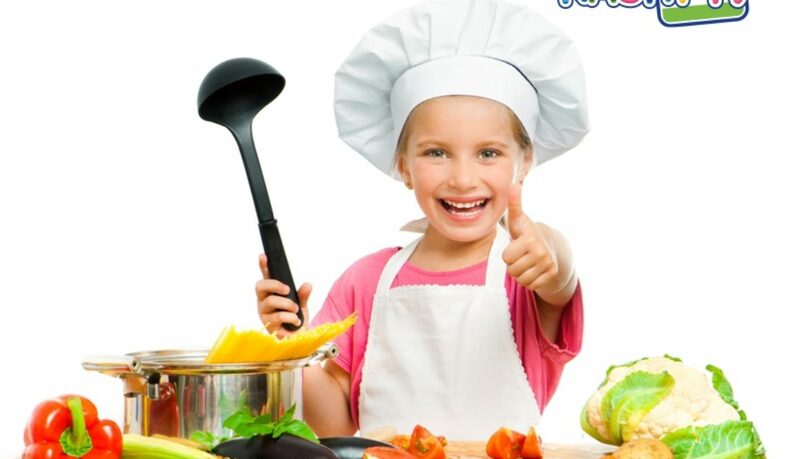 Getting our kids to eat healthy is nothing less than a herculean task, demanding loads of patience, hard work, dedication and most important of all- good luck! As young moulding minds, children are drawn to attractive factors. Be it colourful toys or bright colored candies, delicious fast food or attractive videos, kids are tempted to choose them over anything else. And naturally, we cannot blame their innocent minds for such temptation. While their little senses weigh colour and appeal over its true value, we cannot expect them to act matured and way ahead of their age. With restless mind, innovative ideas and immense desire to have fun, they will always pick such items over nutritious food. Though it is acceptable to let them have their share of joy with candies, ice-creams and fun food once in a while, it is definitely not good for every day meals. Unless we introduce them to the significance of nutritious food, balanced diet and routine meals, they will never learn. And since childhood molds their young minds for the future, this learning has to be strong, serious and implemented right from the start. The significance of eating right, choosing healthy ingredients, picking nutrition over appeal and staying true to the routine has to begin at home. It forms a strong foundation for their decisions in adulthood. But, as little kids, they are always going to resist such healthy eating. No matter how well they know about the value of fruits, vegetables and good food, they will make an attempt to escape as much as possible. Eating healthy is an important factor due to its impact on our overall well-being. By choosing healthy option, we can keep several troubles at bay. For instance several lifestyle related diseases, obesity, bodily discomfort, digestive troubles arise due to unhealthy food consumption. This slowly paves way towards higher medical costs, treatments, instability and mounting troubles in the family. By inviting such lifestyle related issues, the trouble spreads, not only over the physical body but also over emotional domains. When all of this can be avoided through good choice of food, we should and must opt for them. Prevention is always better than cure, rather than hunting for medicines and remedies, it is only easier, better, desirable and accessible to look for healthier eating habits and wholesome balanced diet. This makes it obvious that eating healthy is the need of the hour. If we encourage healthy eating from a young age, it forms a life-long habit. At the same time, even parents should adopt healthy eating. We cannot expect to rely on fast food for our own nutrition or unhealthy snacking for our fun, while training our kids to practice something else. By following good healthy practices at home and adopting them into our own diet, we set a good example for them in the long run. During such times, adopting a stern behavior or imposing punishments for non-compliance will only make it more difficult. The more we force them to accept something, the more they will find faults and run away. All the education, knowledge and lessons about healthy eating may not really mean much at their innocent age where they are more excited for novelty and fun. This shows the need to get innovative. As parents, if we adopt creativity in our approach, we can see the difference ourselves. Unique recipes, creative look, colorful mixture of ingredients, and some different contents in the menu will attract them to try such dishes. When creativity from the kitchen travels to the dining table, it will surely draw attention and excitement. After all, how can one resist the look of vegetables, meat, and fruits in disguise? If we opt for fancy shapes of omelets loaded with veggies or cut fruits in interesting shapes, make colorful salads, add a little dash of cheese wherever possible, it will definitely solve the purpose. Instead of giving them their favorite dish every now and then, mix some of those ingredients behind nutritious components. The outcome will appeal them and at the same time pour some nutritious value into their tummy. The aim is not to engage into expensive cookware, or invest lot of time into making something as basic as breakfast. The purpose is to change the look of nutritious meal to attract their taste buds. Once the taste of such a novel meal strikes connection with the kids, they will definitely ask for more. Fun with salad: Make artwork of animals, trees or people with salad ingredients. Use thin carrot sticks as hands and legs, cherry tomatoes or grapes for nose, eyes and ears, broccoli head as bushes. Use slices of radish, carrot or cucumber for face. If time permits, you can also encourage them to help in the assembling, bringing their own creative ideas to the table. Fruit with a look: Cut fruits into interesting shapes such as star, square, tree etc. using cookie molds. Colorful cubes of watermelon, honeydew, musk melon arranged into a tower will look extremely appealing. Ring the bell pepper: Cut colorful bell pepper into rings. Use them as natural molds to prepare fried eggs. You can also stuff the bell pepper with noodles, rice or pasta and carve eyes, ears, nose and mouth on the outer surface. Cute sandwiches– Cut bread into cute shapes using cookie molds. Fill them with veggies, cheese, meat or whichever ingredient you wish. With an interesting shape of bread, kids will eat the entire sandwich as a fun treat. Banana boat– Bananas are often resisted by kids but they are the best source of minerals, vitamins, fibers and natural sugar. Cut out a banana to look like a boat and fill it with some colorful candies, grapes, strawberries, blueberries to look like contents on the boat. Boring soup to interesting treasure hunt– Kids detest soups the most. You can make it fun by adding bread croutons, fried chicken, whole vegetables cut out into interesting shapes and mixed in the soup. As kids shall hunt for such treasures with excitement, they will savor the soup as well. Make and eat– This can be possible during weekends and holidays. Encourage kids to assemble toppings on their pizza or arrange salads into fun forms. You can also make them a part of grocery shopping during holidays, asking them to pick veggies of their choice. This participation will pump some enthusiasm, while they look forward to use them into their dishes. Mix and turn– Introduce healthy snaking in their time table (almonds, walnuts, crackers, celery sticks, carrots), but also include their favorite snacks (cheese balls, chips, cookies, crackers) during some days. If you allow them to savor their favorite snacks on few days followed by healthy ones during the others, they will not complain much or feel forced in any way. Be creative and make kids a part too. Instead of forcing healthy food, try to involve them with appealing colors and shapes. And finally, when they smile with such a fun-filled plate, you can smile and wink too – at their satisfied, healthy and happy tummy! Rita Izu– is a mother and an RN working in a hospital setting. She’s passionate about nursery rhymes and writing and supporting other women in her community to have a voice in their world. Rita believes that every woman has a talent which she needs to use to make her life and the life of her family fun and more interesting. She’s s a contributing writer for www.kachytv.com/blog and innovative about the impact mothers, teachers and women and men can make in the lives of their children and family. Yes, kids are kids and it is acceptable and natural for them to behave as kids and be ignorant sometimes, but before they adopt such kind of tantrums, bad manners and wrong actions, being rude to others, hurting people, shouting back or displaying anger, parents can help kids learn good behaviors through good usage of time-out. ‘Time-out’ – a bitter word detested by kids and parents alike, but an unavoidable reality for young minds. Time-out is essential for inculcating discipline. It transforms into an opportunity to show the significance of good behavior. Often, when kids tend to drift away from their good habits, manners and responsibilities, they unknowingly develop it into a habit. 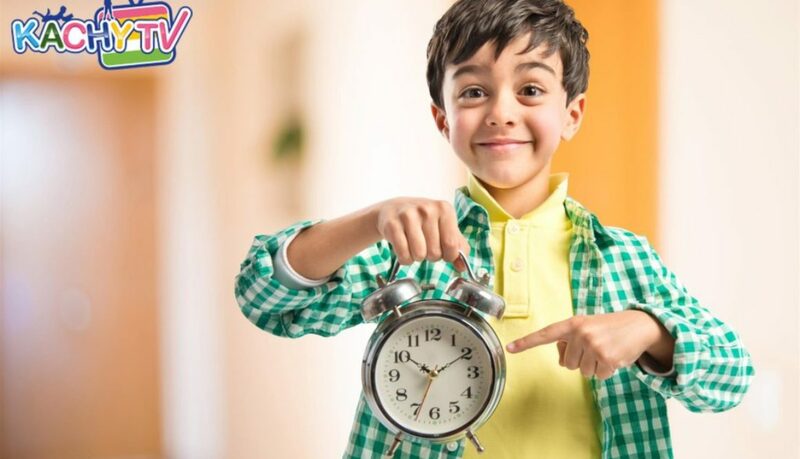 It is important for time out to have positive effects, parents should utilize time-outs to train our kids by explaining why there’s a time out and encouraging the kid to learn from the experience. Time outs should serve as educational sessions in disguise where parents blend punishment with a valuable lesson and the final result will be all smiles and hopefully less tears. What steps can we take to turn them effective? Decide the when and where– Define the spot for a time-out. Choose a chair or secluded spot in the house where the child is in front of you. Parent supervision is an important part of time-out. Cut them from all the activities and fun-stuff, but make them a part of the usual scene. It is also necessary to define the duration of time-out. This will make them understand what time-out is and keep them away from a repeated behavior again. Explain the reason– If we enforce time-outs without telling them the reason, it will encourage hatred and anger. We should explain them what went wrong and how it should be avoided in the future. They may not understand the significance right away, but it is important to communicate openly. By expressing the cause of concern, it can alert them how they were wrong and what should be avoided henceforth? Adopt a calmer approach– We all tend to get angry. As parents, we end up getting angry because we love our kids a lot. Our concern and care for their good behavior in future drives us to short-term episodes of anger in the present. But, it is important to understand this display of anger in front of kids will have bad consequences. Instead of learning from their mistakes, they will develop hatred towards us. If we send them for time-out with a calmer approach and spot their mistakes with a matured tone, they will understand the primary reason. Do not cover the valuable lesson of discipline under layers of anger, hatred, over-reaction and loud talks. Attend to the issue in hand– When we enforce a time-out, it is incorrect to over-react and dig into all the errors from the past. Do not use time-outs as an excuse to show everything that is wrong. Address the main cause of trouble, discuss the ill-effects, and stick to the primary reason. Time-outs should be enforced to show them instant effects of bad behavior. It should point out how some acts are intolerable, no matter why or how they did it. But, if we drag all their errors and mistakes from the past, it will never solve the purpose. Follow-up with encouragement– Time-outs make our kids sad and gloomy. Though we cannot avoid such forms of discipline to show the value of good behavior, we should not retain the anger all day long. Once the kid has fulfilled this time-out by staying away from everything, we should follow it up with words of encouragement. Though we stay angry and quiet during the time-out, it should be followed with some light moments of fun and laughter. 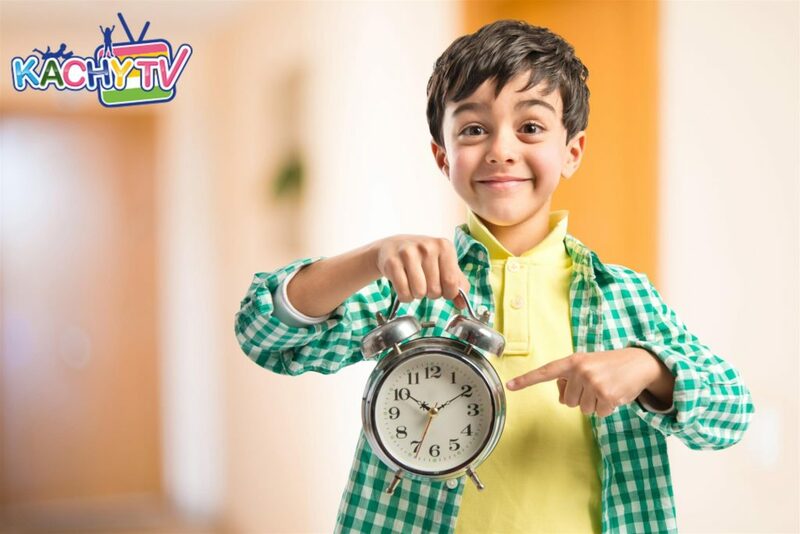 Cheer them up with some kids learning songs or funny videos of their favorite cartoon character. Spread laughter after the time-out to instill right doses of discipline. Allow open dialogue– After the time-out is over, allow kids to share their thoughts and lessons learned. If we enforce discipline without giving them a chance to speak, they will feel dominated and suppressed. Hence, we should allow them to speak, but only after the time-out is complete. Such openness should make them realize that there is no excuse for bad behavior, but there is scope for discussion and communication. It will also allow us to analyze why they behave incorrectly and find the root cause. Time-outs are imperative. No matter how hard we try to avoid using them, at some point it becomes essential to effectively use time out. If we use time out effectively, it will turn into parenting lessons to help our kids. Are you using time outs effectively? Do share your tips and experiences. Rita Izu- is a mother and an RN working in a hospital setting. She’s passionate about nursery rhymes and writing and supporting other women in her community to have a voice in their world. Rita believes that every woman has a talent which she needs to use to make her life and the life of her family fun and more interesting. She’s s a contributing writer for www.kachytv.com/blog and innovative about the impact mothers, teachers and women and men can make in the lives of their children and family.